The wine storage system HydroTon (manufactured in Switzerland), modular and ornamental allows to optimize all the available space in the wine cellar. The porous nature of the natural stones (burned clay) assures a micro climat adapted to the maturing of your wine bottles. 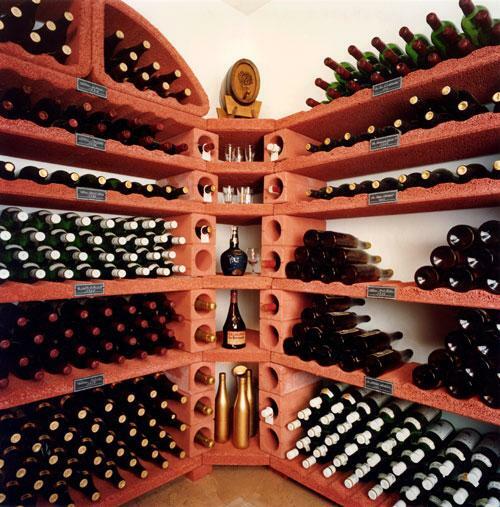 The shelves of the HydroTon wine racks absorb the ambient humidity and restores it when the air is too dry. The storage of bottles in the columns allows a special place for your unitarian bottles.